Over the last year, Neuberger Berman portfolio manager Steve Eisman - who gained notoriety beyond Wall Street thanks to 'The Big Short' and his portrayal by Steve Carrell in the movie adaptation - has taken seemingly every opportunity to talk his book, which apparently consists of concentrated bets against the financial systems of two developed nations: The UK and Canada. Though UK banks largely bottomed out in October and have managed only a tepid rebound since, their Canadian peers have clawed back much of their losses from late last year. 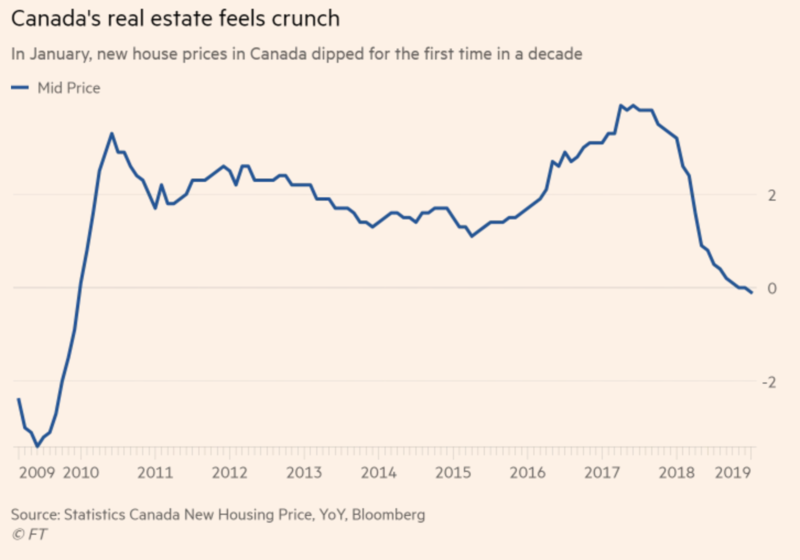 But this hasn't shaken Eisman's faith in his bet against Canadian banks, which is effectively a bet against the Canadian housing market (though Eisman doubts the fallout will be anywhere near as intense as the US housing market collapse that minted his reputation). 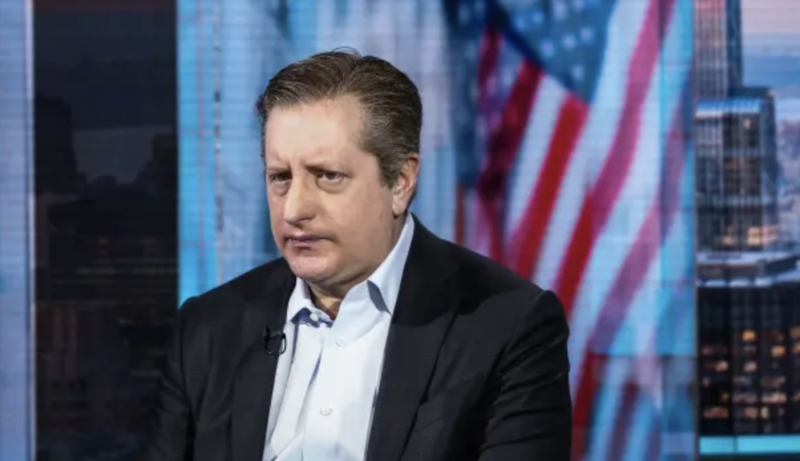 "I’m calling for a simple normalisation of credit that hasn’t happened in 20 years," Mr Eisman told the FT, while declining to name the banks he is shorting, or the full extent of his positions. He said the effects would hurt banks and the real estate sector, but would not be as intense as the financial crisis a decade ago in the US, when he and others saw huge profits from the implosion of the subprime mortgage market. "This is not ‘The Big Short: Canada’ - I’m not calling for a housing collapse," he said. 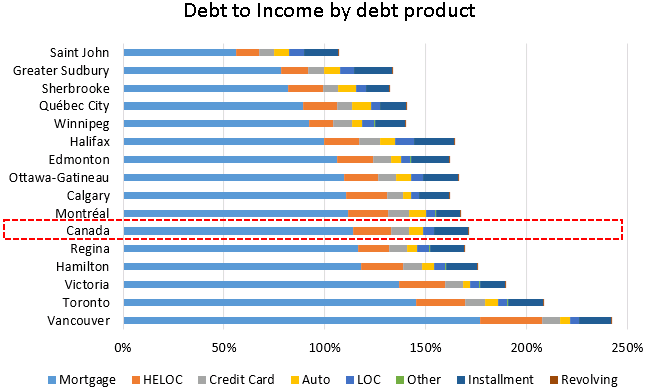 Adding to the already precarious finances of Canadian households, more Canadians are plundering their home equity to finance everything from renovations to car purchases. ...while new home prices dipped for the first time in a decade. Fortunately for Eisman - who hasn't disclosed specifics about his bets against Canadian or UK banks - more investors are piling into bets against the "big six" Canadian banks, which have seen their profits sag as they have raised their loan-loss provisions. "Unsold inventories are beginning to stack up,” said Mr Dusaniwsky. “Even the turbocharged markets of Vancouver and Toronto are experiencing slowing demand and price fragility.” Toronto’s TD Bank has emerged as the most popular target for the short sellers, with bets against its stock up 17 per cent to a total of $3bn since January. Bets against CIBC, also based in Toronto, have jumped 26 per cent to $2.3bn, while those against Bank of Montreal are up 37 per cent to $1.3bn, according to S3 Partners. 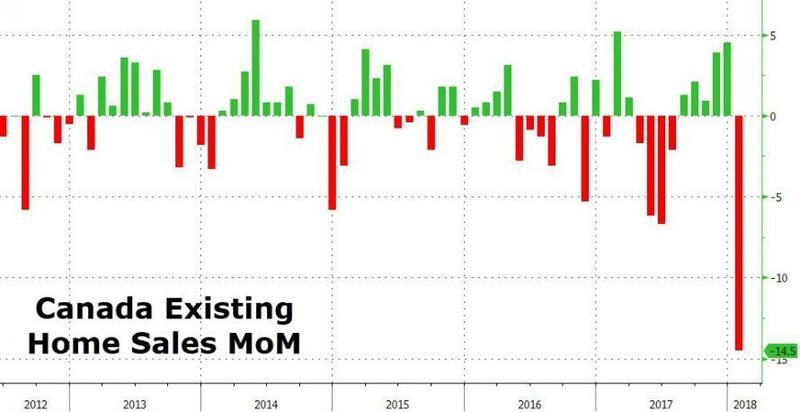 But as the Canadian economy continues to slow, Eisman believes a day of reckoning for the country's banks is inevitable, and its housing market, is inevitable. "Canadian banks are an oligopoly," he said. "They’re not mentally prepared."